Harry Potter Ideas are Everywhere! With the new release of Harry Potter and the Cursed Child, everyone has their favorite wizards on their minds. You know I sure do and have even shared a Harry Potter recipe on the blog. 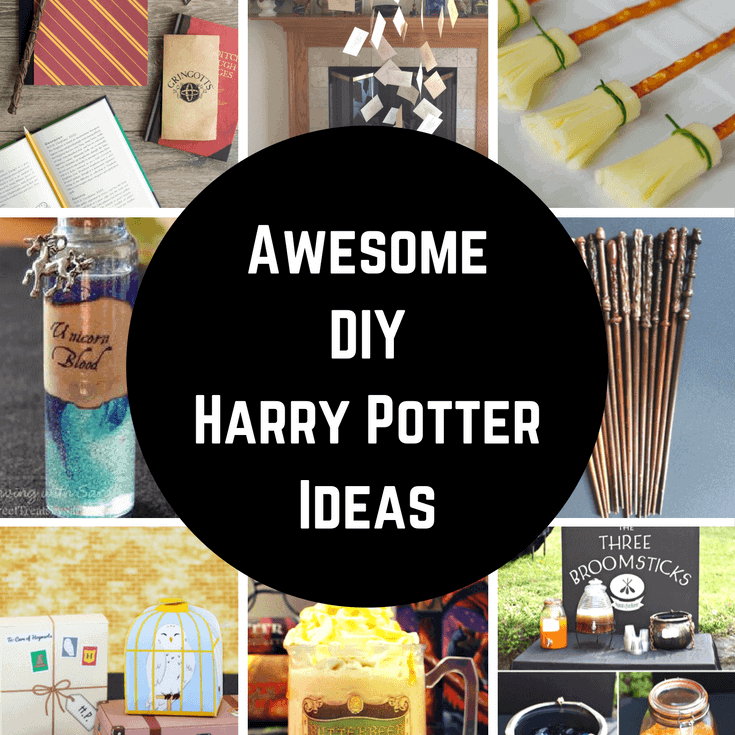 Today I wanted to show you some really fun Harry Potter ideas that I’ve found. They would be perfect to plan a party, playdate, or even for some old fashioned fun around the house. 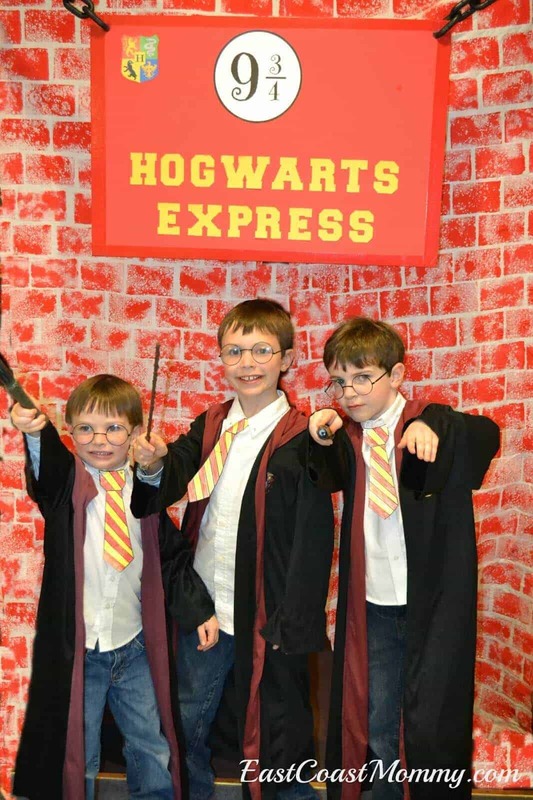 If you are a fan like our family is, I know that you are going to love these Harry Potter ideas! This is our family’s personal favorite recipe for Butterbeer. 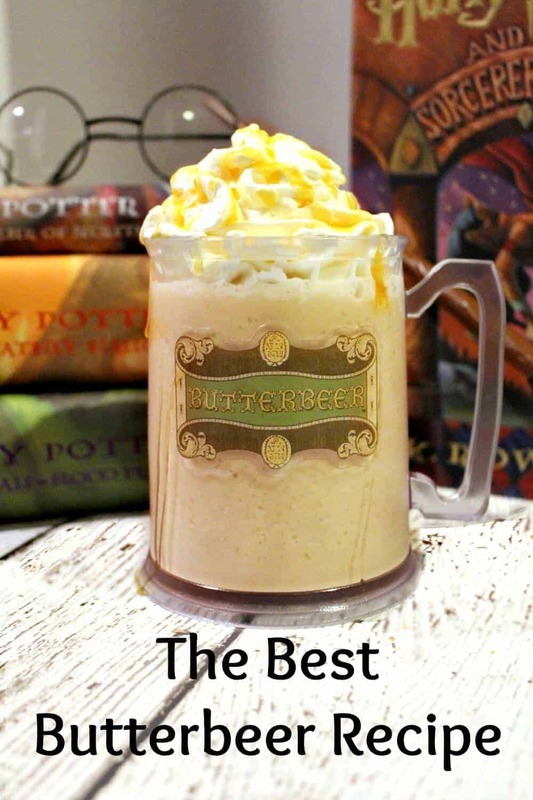 If you have ever been to Universal Studios Islands of Adventure, then you must have tried the Butterbeer from the Wizarding World of Harry Potter. We did, and we were obsessed! It was beyond amazing. 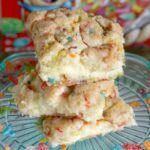 When we got home we set out on a quest to recreate this delicious treat! Make your own potion bottles with these great ideas from Saving with Sarah. 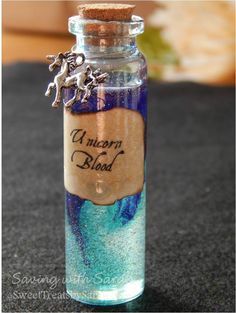 She has everything you can think of, but I love this one for unicorn blood! Is that morbid? I love the colors. She even offers some free printables, too! 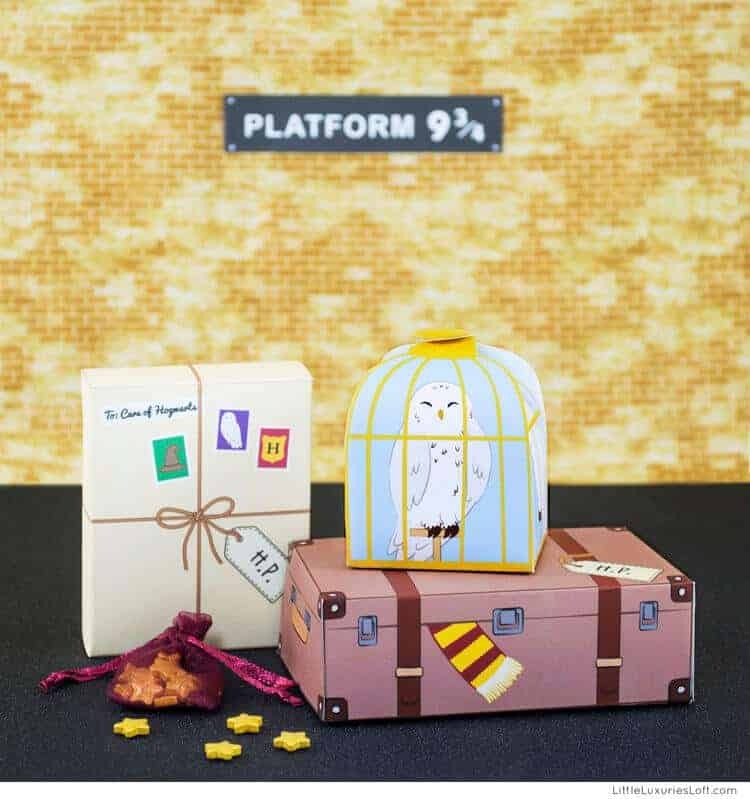 I have never seen these amazing free printable Harry Potter Boxes before, but I love them. They are made by the geniuses over at Little Luxuries Loft and are perfect for pretend play or as gift packaging! She even added Harry’s scarf coming out of the suitcase. 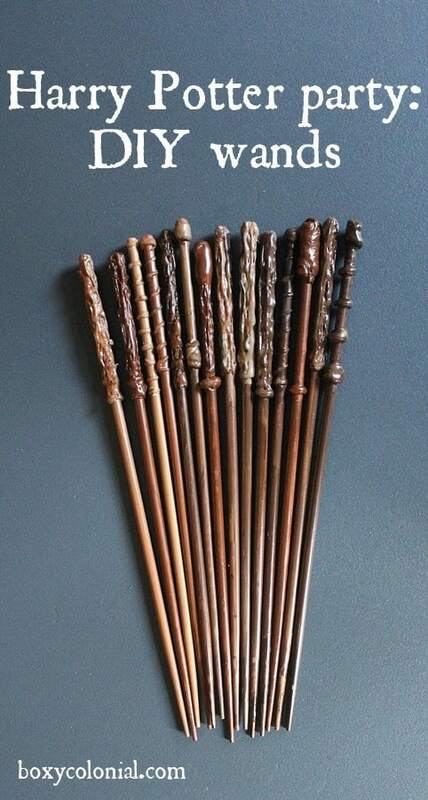 Boxy Colonial came up with these DIY wands and they are spot on. Just look at the detail on the handles. 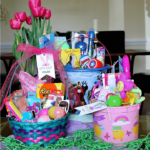 No worries, she shows you how you can make them and you’ll be quite surprised at how it all comes together! 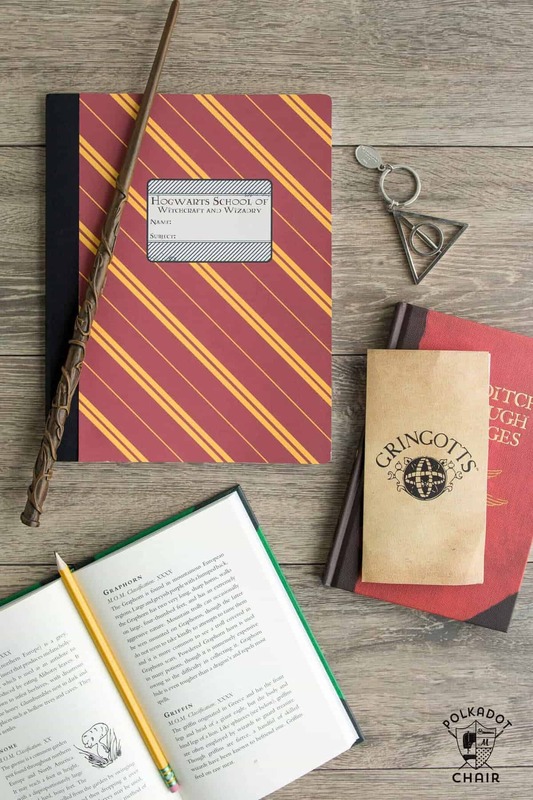 How about these Hogwart’s School Notebooks? The Polka Dot Chair created them and has included the downloadable covers. They just could not be easier to make! 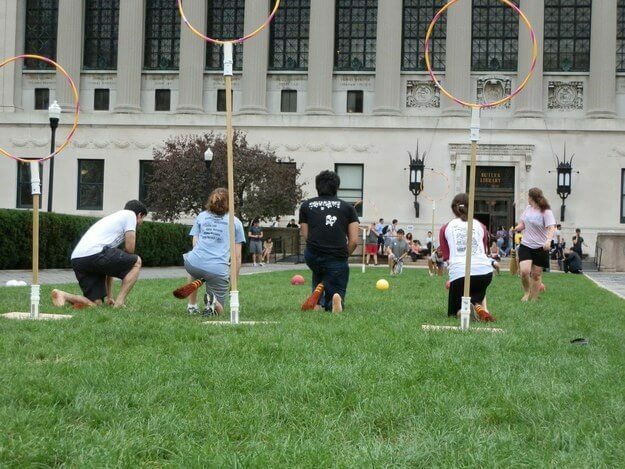 Make your own edition of Quidditch with hula hoops. BWOG shows you how to make them and I think this would be so much fun to play outside. My kids would find this highly entertaining! 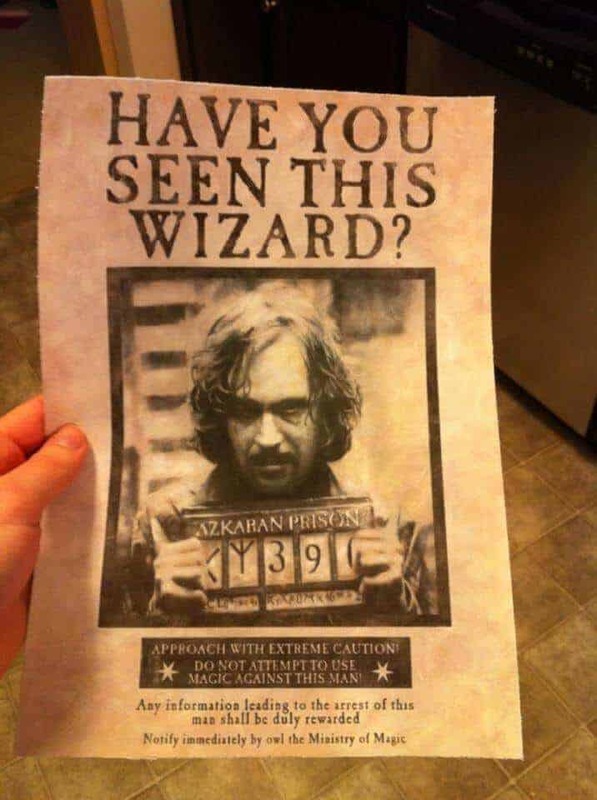 Spicy Pinecone threw an epic Harry Potter party and even has these free printable signs for wanted wizards. Very clever stuff and she has several tutorials for you on the post. You have to visit De Su Mama. Her Harry Potter party was off the charts. She thought of every last detail. 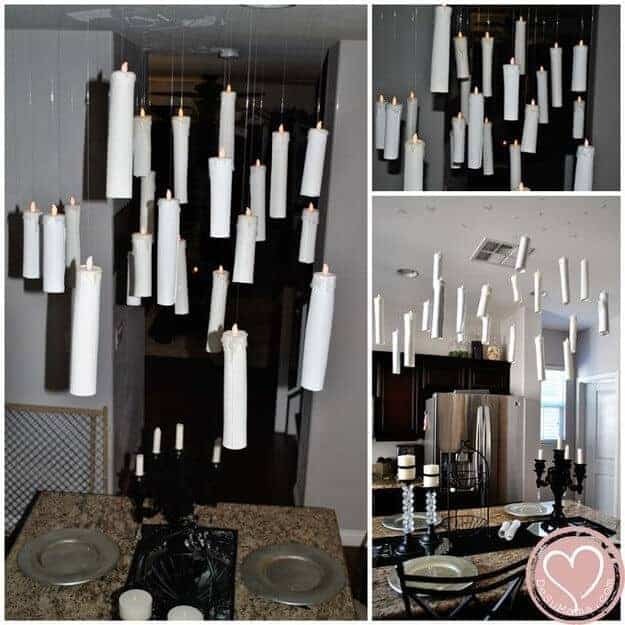 She even shows you how to make these hanging candles which I think are so cool. You won’t believe the supplies that she used! This is a very cool version of the Three Broomsticks Occult Pub. 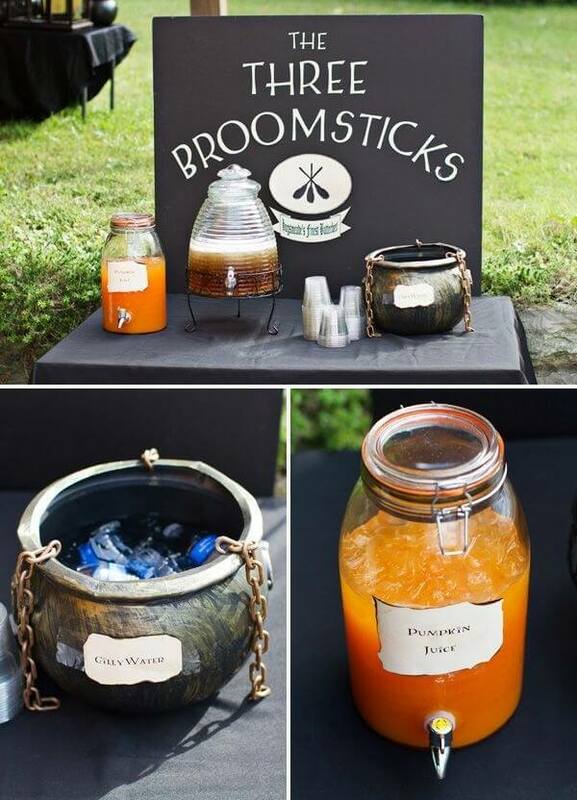 Hostess with the Mostess shared this Hogwarts inspired party and she pulled out all of the stops. You should see the cakes… just amazing! I love this backdrop from East Coast Mommy. She shows how she makes it and I think even I can make it… it is that easy, folks! The boys look like they are really enjoying it, too! 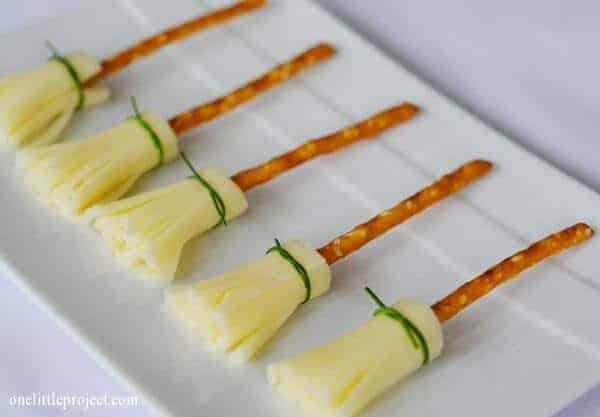 These cheese and pretzel broomsticks are the cutest snack idea. One Little Project is the master at making these adorable broomsticks and you could whip up a batch just because your child is reading a Harry Potter Book or for a movie night! Okay, I have to tell you that this one creeped me out just a little bit. 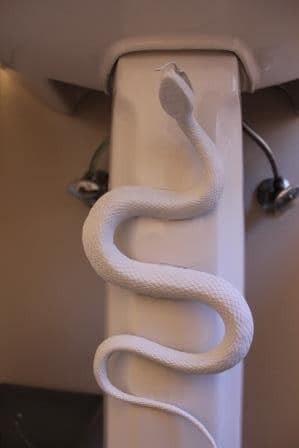 Spray paint a snake to turn your bathroom into one from the Chamber of Secrets. This is spooky… just saying! There are a few more ideas over on Profmcgonagall101213. 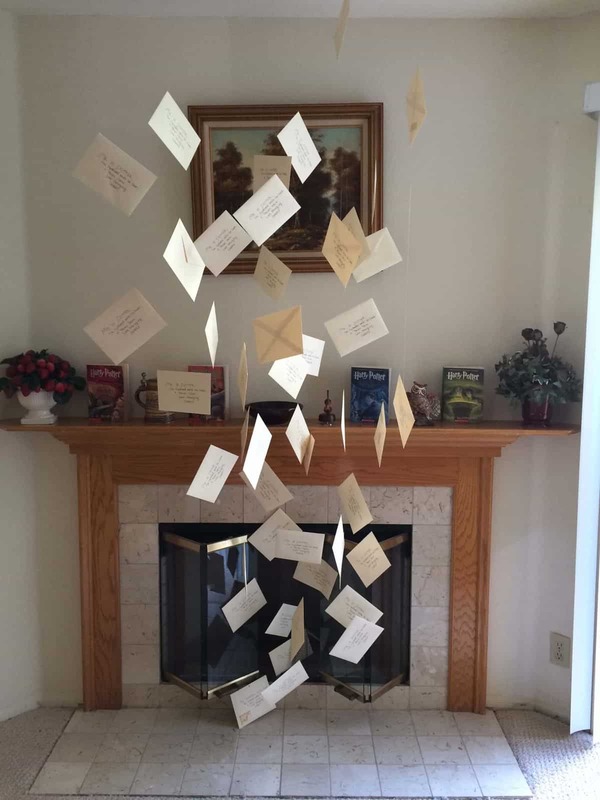 Guys, I think this is the coolest idea ever from Craftster Chic. Floating letters just like in the movie and it makes the perfect backdrop. Are you not in total awe of this project. Super, super cool! 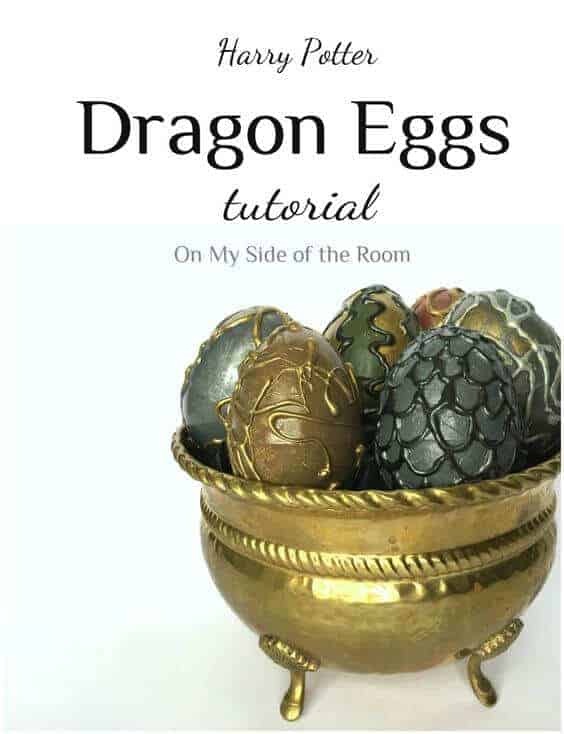 For all of you that have wanted to make dragon eggs, this is such a good tutorial. On My Side of the Room set out to make these for her Harry Potter Party, but I wonder if she could envision how amazing that they are. I love them! This is the perfect time of year for making ornaments and PopSugar shows us how to make this very elegant Golden Snitch Ornament. Aren’t they so pretty! This is a good one for the lady Harry Potter Fans in your life. 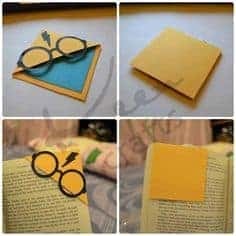 Make Harry Potter corner bookmark with this simple tutorial shared on Instructables. This is perfect for the child in your life who loves these books! We have every single one of them! 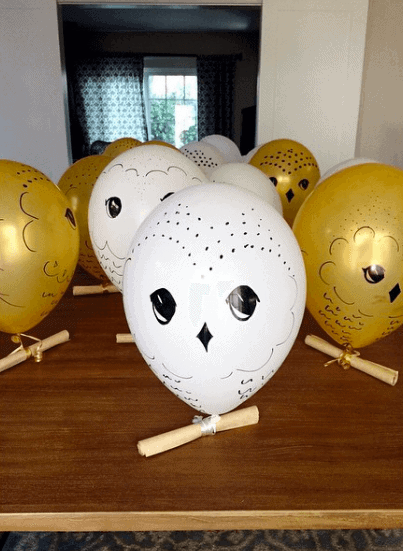 Can I tell you how in love I am with these owl balloons? So crazy creative and found on Instagram. The fans of Harry Potter are really rocking my world! I love how they are weighted with a scroll… just too smart! 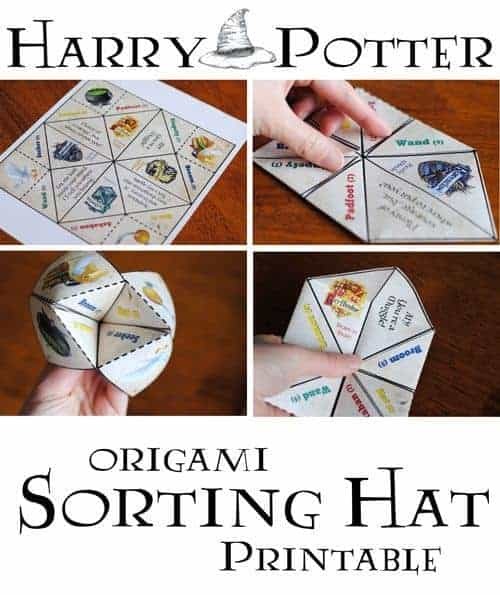 Get Away Today shared their free printable for and origami sorting hat. This is such an old school idea, but I completely love it. Please tell me I am not the only one who used to do these in middle school where you picked a color, then a number…. the list goes on! 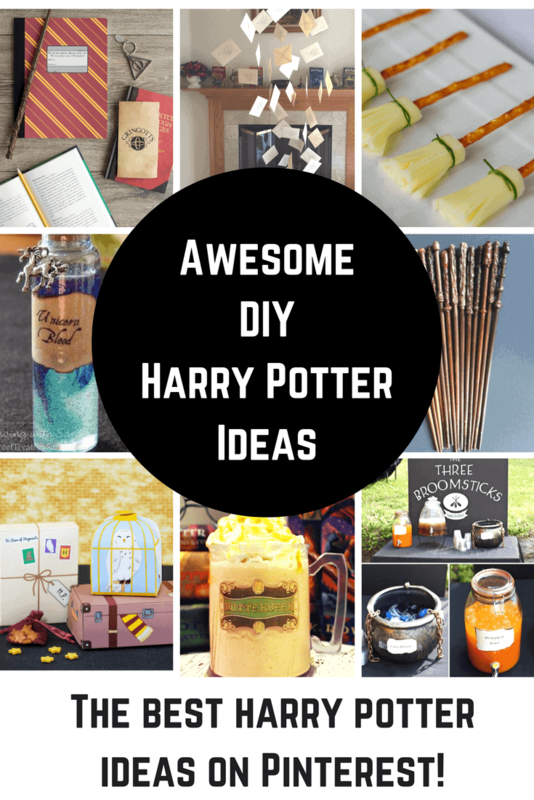 Have a wonderful week and I hope you have enjoyed these fun Harry Potter Ideas! Did you find one that you want to try out? I sure have! I feel like trying one of these out sometime. This is awesome collection on Harry Potter ! We are huge Harry Potter fans here, and I always wanted to do a Harry Potter theme around Halloween time for our home. Saved this post for next Halloween Ideas… This is the perfect inspiration!